We are excited to present our first General Membership Meeting of the 2018-2019 year on September 5, 2018, at 7:00 PM at Zest Miami. The meeting will feature a Free CLE Presentation on one of our key focus areas for this year: financial independence. To join us for the Dinner Meeting and Program please reserve your spot by calling Zest at 305-374-9378. Many lawyers lack financial literacy and healthy fiscal practices. These deficits prevent lawyers from conquering student loan and other debts, add stress and anxiety to an already fraught profession, trap high earners in golden handcuffs while forcing lawyers with lower incomes into misaligned jobs, and can diminish professional opportunities and happiness. 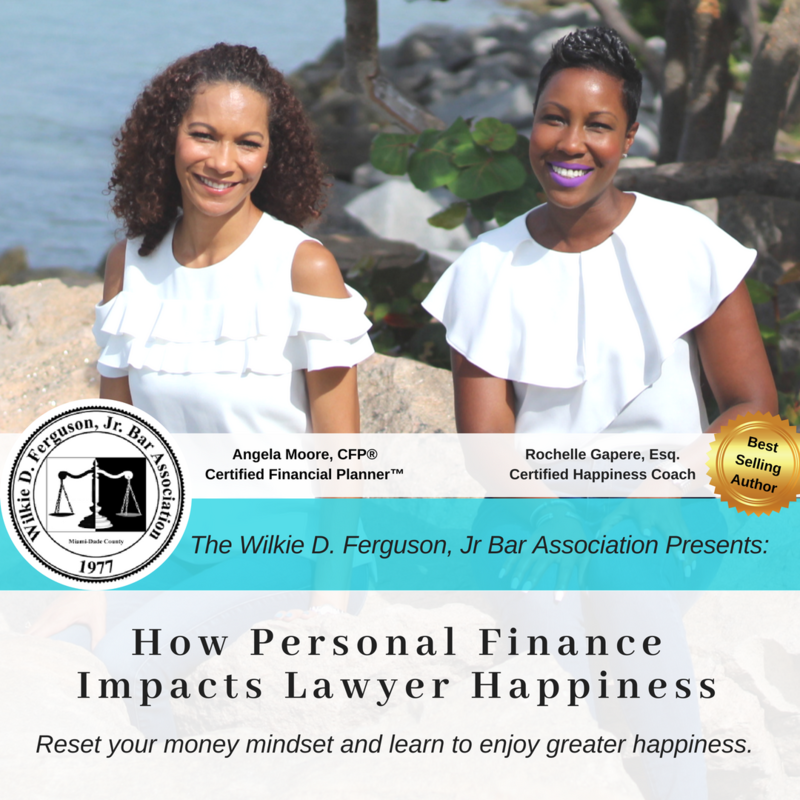 Our speakers will explore the roots of lawyers’ relationship with money, teach best practices for harnessing your most important asset—your happiness and provide a road map for resetting your mindset around money and enjoying greater happiness, wealth and professional fulfillment in the process.